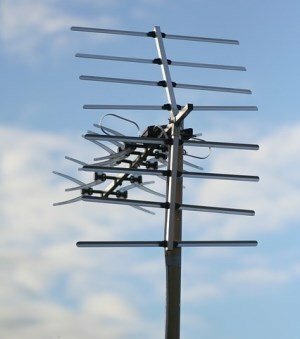 Televisions in Australia now use digital signals to receive TV, but they require a digital aerial to receive the best quality image for your TV. If you use your old analogue TV aerial, the reception will not be perfect. Telefix can fix this for you - we are experts in installing new digital TV aerials or finding the best position for your aerial to get the best reception on your TV. To ensure the best image quality for your TV, a digital aerial is needed. A digital aerial will provide better reception, this means that your television signal will be more consistent, and a digital aerial will also display a better looking image, leading to making your TV watching experience more enjoyable. The best image quality will come from using HD TVs (or High Definition TVs) along with a digital aerial. An analogue TV aerial will deliver an experience that does not match the high definition of your television. Adelaide Telefix has a team of trained technicians ready to upgrade or provide a new high quality digital TV aerial to help make your TV experience even better. The weather can affect your TV reception and quality, making it low quality and quickly becoming an annoyance. To reduce the weather effects on your digital TV aerial, Telefix and our team of expert technicians do everything we can to make sure that you get the best signal and reception possible. Our technicians have years of experience in making digital TV aerials work to their full potential, including aerial position, aerial securing, using high quality durable cables and tools, and much more. So if you need an analogue or digital TV aerial upgraded, replaced, fixed, or installed, Adelaide Telefix and our team of trained technicians are ready to help. You will get both high quality service and high quality television at a great price. Contact Adelaide Telefix today to get your high quality digital TV aerial now.